During my college years, I worked as a docent at the Mississippi River Museum in Memphis. I often spent my lunch break sitting on the observation deck that overlooked the river. It wasn’t uncommon to see seemingly small towboats pushing several football fields’ worth of barges up and down the river. A single towboat can handle more than 40 barges, and one barge carries around 1,500 tons. That takes a lot of power. I marveled at how something so small could navigate the river while guiding a flotilla of cargo. In today’s supersize-me-bigger-is-better culture, we often miss the significant power of small things. But in God’s economy, even small things can make a big difference. A small stone takes down a giant. A remnant of 300 defeats an army. Five barley loaves and two fish feed the multitudes. And faith the size of a mustard seed moves mountains. 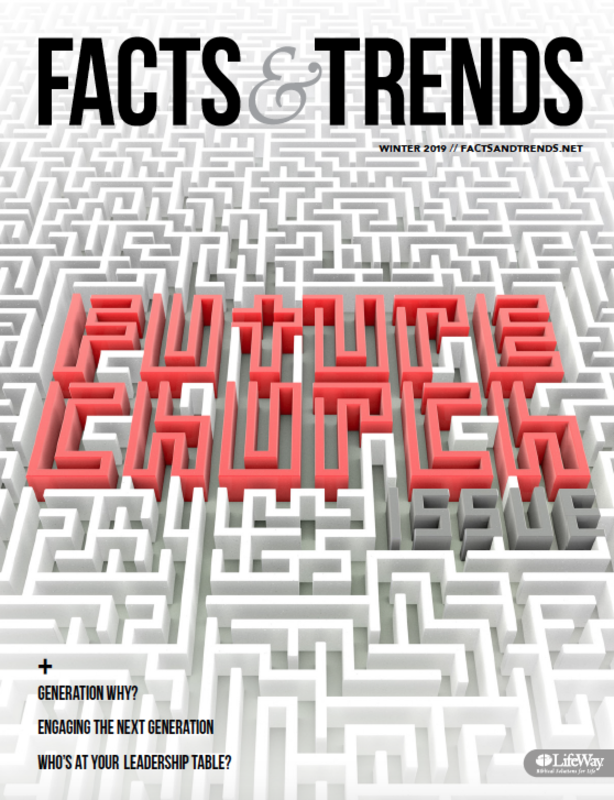 In this issue of Facts & Trends, wwe look at the unique challenges and opportunities of small churches. We talk to pastors of small churches who have turned weaknesses into advantages. And we explore how megachurches are harnessing the power of small through small groups, multisite campuses, and microsites. With the median congregation in America around 80 weekly attendees, we realize many of our readers are familiar with small church ministry—you live it every day. We hope you find encouragement and inspiration as you read this issue. Large or small, rural or urban, every church can make an impact for the kingdom, whether it’s helping people navigate life or carrying the gospel both near and far. Never underestimate the power of small. Read through the issue online below. Click to subscribe and receive the print edition for free. Your worship leader only knows three chords. If you pay the part-time secretary, you can’t afford to fix the leaky roof. Without more volunteers, the mission trip will be in trouble. Welcome to the small church, the fast-growing segment that triggers hand-wringing among the “bigger is better” crowd. The median congregation in America has fallen to 80 weekly attendees, according to American Congregations 2015: Thriving and Surviving a sobering report in January from the Hartford Institute for Religion Research that questions the vitality of small congregations. Those in the trenches, however, say the undeniable struggles of small churches are a source of power that can’t be matched by the megachurch. Our obsession with “bigness” can be a reflection of American values, instead of biblical ones. While we often pull our cultural values into our measuring grid for success, size is not necessarily the best measurement for church health.